"Time-Travel Thursday With Time Trap"
The Time-Travel Through Pictures Series! Welcome to the first piece of "Time-Travel Thursday With Time Trap". Each week we will feature a new piece from The Author Richard Smith. 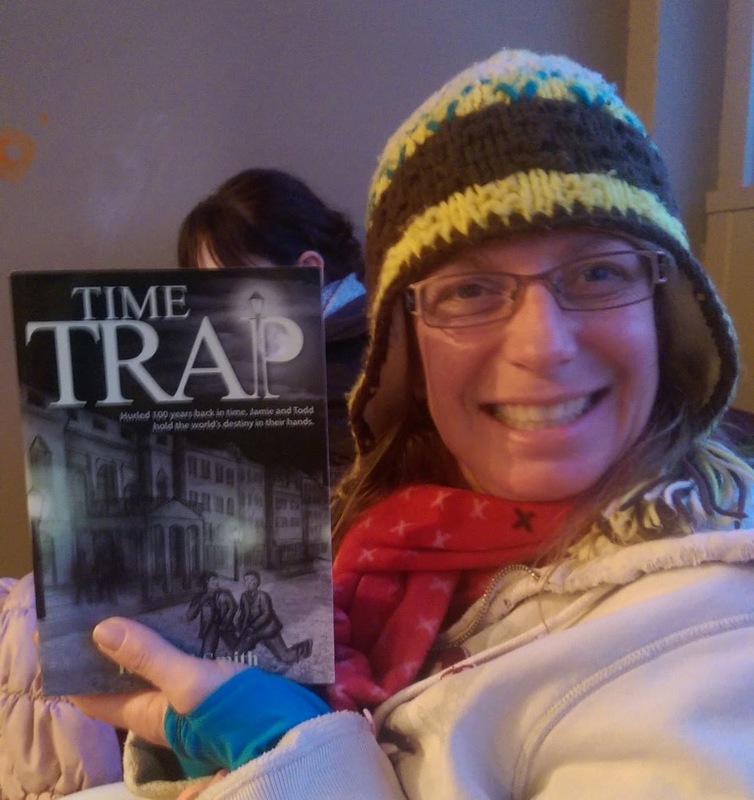 Please follow along on this exciting journey as we Time-Travel with Time Trap! Who was the mysterious Hector Lightfoot? What was he up to when he disappeared, and who were the two ghosts once seen in his house? School friends Jamie and Todd are destined to find out when they go to London to spend a weekend with Jamie's Uncle Simon, who now lives in that very house. Soon after they arrive, Jamie has a frightening encounter with the two ghosts. Hector, a veteran from the First Afghan War, joined a covert expedition to China, and afterwards worked on a secret Government project in an underground lab at theBritish Museum. He vanished suddenly, and was never heard from again. Simon takes the boys to the lab, where they find a strange contraption – which, unknown to any of them, is a time-travel device. When the building is struck by lightning, the device is energized, and sends the boys back in time to the year 1862. There, surrounded by danger and exposed to disease, they are sucked into a life of crime in order to survive. The monument in the centre of the road, is where Temple Bar stood, which you will see later on the Trail. Temple Bar is a boundary marker, separating the City of London and Westminster. It was along this street, Hector drove his faltering contraption. Catherine clasped her head, as Jamie opened the carriage door. He was reaching for the handrails and using the seat to hoist himself up. 'What are you doing, Jamie? Get back inside!' she screamed. Jamie ignored her and hauled himself up the side-panelling. Temple Bar lay ahead. The ancient white gateway almost glowed in the moonlight. The driverless coach rapidly approached it. The history of Temple Bar is a fascinating one. It was erected as a barrier to regulate trade into the city. As the most important entrance to London from Westminster, it has long been the custom that the monarch stop at Temple Bar before entering the City of London, so that the Lord Mayor may offer him or her the City's pearl-encrusted Sword of State as a token of loyalty. Its name comes from the Temple Church, which has given its name to a wider area south of Fleet Street, the Temple, once belonging to the Knights Templar, but now home to two of the legal profession's Inns of Court. Due to the ever increasing volume of traffic, the City of London Corporation were eager to widen the road, though unwilling to destroy so historic a monument, but in 1878, Temple Bar was dismantled carefully (2,700 stones) piece-by-piece over an 11-day period. In 1880, it ended up being erected as a gateway at the house of the brewer Henry Meux, in Theobalds Park. There it remained, incongruously sitting in a clearing in a wood, from 1878–2003. But where is it now? If you follow the Time Trap Trail, you will get to see it in all its glory. The structure that replaced Temple Bar. With the removal of Wren's gate, it was designed by Horace Jones, as a memorial to mark Temple Bar, which was unveiled in 1880. ONCE YOU COMPLETE THE TRAIL AND EMAIL RICHARD THE CORRECT ANSWERS, HE WILL DOWNLOAD TO YOU THE PERSONALIZED CERTIFICATE! 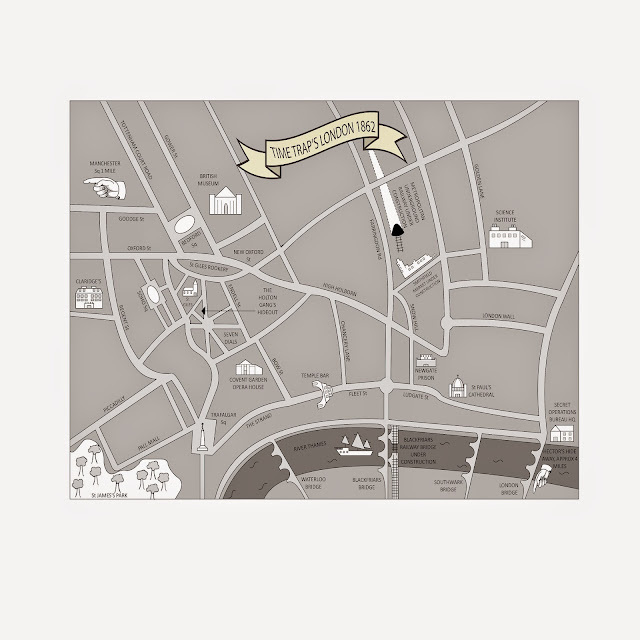 Can you see Temple Bar on the map? The Time Trap Trail and have some fun! "Very exciting book; keeps you interested from the start right the way through. You can tell a lot of research has gone into the writing of this book because all the roads, pubs, churches etc in the adventure are real and in line with accurate history. Fantastic bonus is the London Walk you are invited to take all educational." "Time Trap came recommended from a review site and I thought my son would enjoy it. As it was I read it first and thoroughly enjoyed it. It has a really engrossing storyline, strong characters and plenty of intrigue." "A hugely enjoyable time romp, Time Trap is the debut novel from author Richard Smith and it really is a little different. Not only a perfect mix of fantasy, intriguing technology and action to keep even the most demanding of young readers entertained, it has more than its share of mystery to boot." 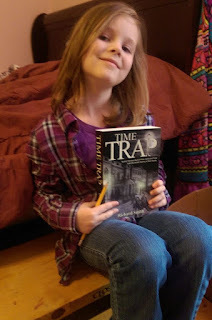 "An undeniably fun and engaging read, Time Trap will certainly pique your interest and leave its readers wanting more. Raising high expectations of future releases from author Richard Smith, it is recommended without reservation!" 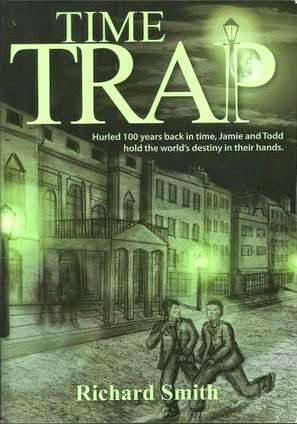 "My 10 year old, well-read son has been reading Time Trap solidly over the last few days and loves it." "Smith it seems has certainly succeeded in weaving a wonderful tale." What do you get when you mix a couple of boys, 2 too many ghosts and a time travel device? Adventure and mayhem that is what! I purchased this book to read with my daughter who loves adventure books with a little thrill ride built in. Once it arrived we dug right in and I have to say that we both loved it. It really is a great read for older children, teens, and adults with a heart for adventure. I was a little worried that it would be too intense for my daughter (she sometimes frightens easily) but she loved it. It was interesting to follow along as Todd and Jamie encounter some hair-raising and sometimes threatening situations that only a determined will and strong fortitude could get them through. I love the way the characters are put into those situations where they must show courage and endurance and rely on each other to make it through. I think that serves as a good message for the young readers. What is there not to love, Richard Smith is a fantastic story teller and Time Trap is an out of this world (or at least this place in time) adventure! Filled with twists and turns and mysterious moments, it encompasses everything I could hope for. It is well written with exceptional character development. 5 stars all the way!